All things Early Music, with demonstrations, lectures and recitals including closing concerts from Fretwork and Brecon Baroque. 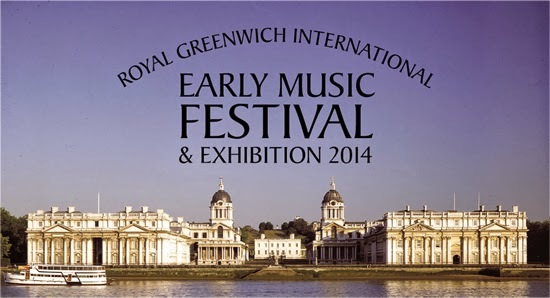 This weekend the Royal Greenwich International Early Music Festival and Exhibition hit, well Greenwich actually. With music literally coming from every nook and cranny this was an early music lover's paradise. Run by the Early Music Shop with Trinity Laban Conservatoire and the Greenwich Foundation in the picturesque setting of the Old Royal Naval College, with its spectacular Painted Hall and Chapel, there were three days of performances from young and old, as well as the chance to explore and try out instruments of all shapes and sizes. The performances fell into two categories: concerts and demonstrations of instruments either new or repaired. The maker's demonstration recitals had the addition of being instructional - the performers talked about their instruments, giving a bit of history or why that particular instrument (and hence the maker/restorer) worked for them. I caught a couple of the demonstrations. The first was the viol and violin performance by Liam Byrne (bass viol) and Conor Gricmanis (baroque violin). Playing solo and duet music from Thomas Morley (1557-1602), Georg Philipp Telemann (1681-1767), Alfonso Ferrabosco II (c. 1575-1628), Diego Ortiz (1510-1570), Robert Dubuisson (c. 1622–1680), and Matthew Locke (1621-1677), this pair filled the King William Undercroft with a glorious and restful sound. Unusually, in the Ortiz the bass viol had the tune, while the violin maintained a soft tenor line, allowing the delicate high notes of the bass to be heard. Morley and Ferrabosco have a pertinent link to London – Morley was organist at St Paul's cathedral, while Ferrabosco was born in Greenwich. Ferrabosco and Ortiz were also well known for their prowess on viol - Ortiz even had a book 'Treatise on the variation of cadences and other types of notes in viol music' published in 1553. The second demonstration I heard was Stephen Thomson playing Jacob Kirckman (1710-1792), J.C. Bach (1735-1782) and Johann Samuel Schroeter (1753-1788), on a restored c.1775 Kirckman harpsichord. Kirckman also has a link to Greenwich because, although he was born in the Alsace, he moved to England in the 1730s. He died in Greenwich and is buried in St Alfege Church. Thomson was interested more in showing off the possibilities of the harpsichord than in delivering a pristine concert performance, and so had chosen pieces which were from the same time period as when the harpsichord was made and used the different registers and stops available on the instrument – most notably in Bach's 'Sonata in C minor Op.5 no.6'. He also talked about the transition between dance suites and sonatas in the 18th century, and the difficulties for composers who had to take into account that their music was also required to sound good on the new piano forte. A further consideration was that while many performers were happy to improvise on a sketchy score, other players would only play what was written and the composer needed to keep both happy. The first concert I went to was in many ways the complete opposite of the veteran performer and teacher Thomson. The Junior Trinity concert featured singers and recorder players from the Trinity Laban Saturday school. This scheme has been running 1906, teaching children from Trinity Teenies aged 3-5, up to 19 year olds working towards their university and conservatoire entrances. But there was no slouching just because they were young. They played a selection of solos and group pieces to a very high standard (perhaps without the stage confidence of more seasoned performers – but I have no doubt that that will come in time) and their level of technical skill was a credit to the school. The closing two concerts were a flurry of Bach – this time J. S. (1685-1750). 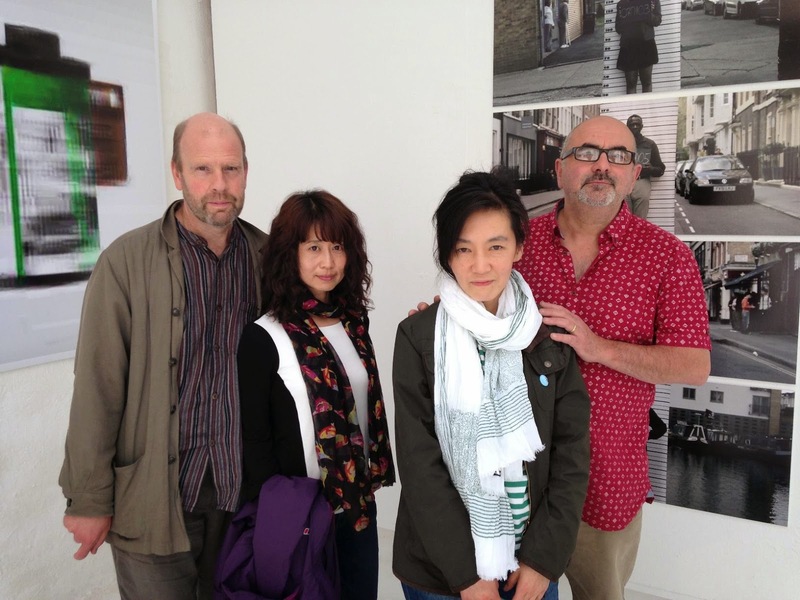 The reknown viol quartet Fretwork played Bach's unfinished 'The art of fugue'. Written during the last two years of his life, with each voice on a different stave Bach gave no indication of the instrumentation he planned - which has sparked many different interpretations over the years. Fretwork sounded beautiful in St Alfege's church and brought out the meaning and variation of each of the canons. But at over an hour long with only one theme this was a marathon for performers and audience alike. The final concert was given by Brecon Baroque in the nautically-themed chapel at the Old Royal Navel College. 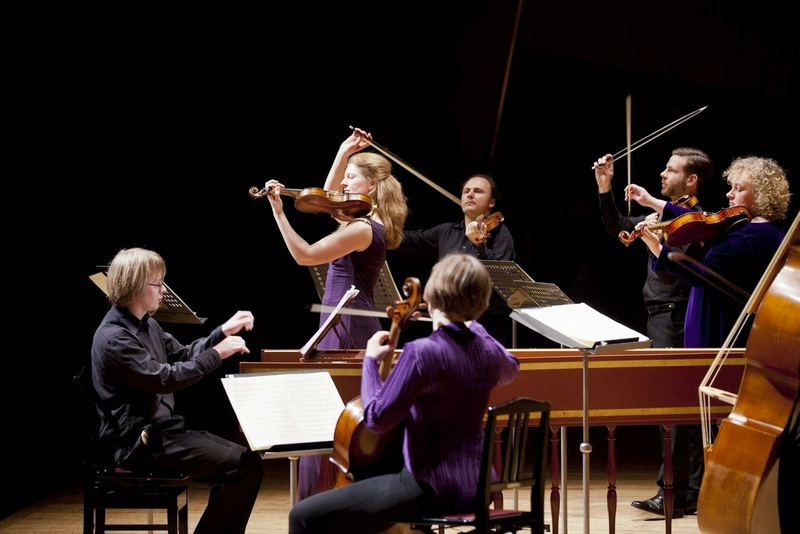 Founded by violinist Rachel Podger for the Brecon Baroque Festival in 2007 this ensemble featured Rachel herself, flautist Katy Bircher, Johannes Pramsohler on violin, Louise Hogan on viola, Alison McGillivray on cello, Jan Spencer on violone and Marcin Świątkiewicz on harpsichord. Musically this concert brought together some of the ideas talked about (and performed) by Thomson and the extraordinary fugue played by Fretwork. Here Bach was poised between the old style music and new - 'Suite No 2 in B minor for flute, strings and basso continuo' written (1738–9) is a suite of seven dances while 'Musical Offering' is a set of canons, fugues, and a trio sonata, written some ten years later, all based on all based on a single theme given to Bach by Frederick the Great. The festival ended on 'Brandenburg Concerto No. 5' with an encore of 'Air on a G String'. It is going to be another year until the next festival – but they will be having an open day for the Junior Laban Saturday School on the 24 January 2015for all those interested in joining.